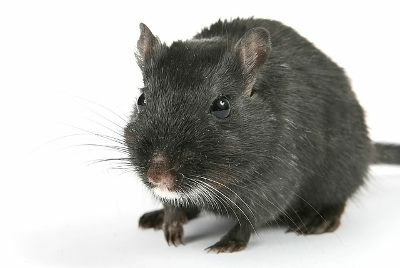 PEST XTERMINATORS can help you with full-service rats and mice control in London. If you are suspicious about pesky rodents roaming around your property, or if you have actually seen one, simply give us a call and book an extermination service. Soon, a pest control specialist will be on his way to your home to deal with the situation. The most common evidence that shows the property is infested by rodents and that you need rats control in London is gnawed surfaces, droppings, footprints, urine pillars, scratching noises and actually seeing adult individuals. It's also known that properties infested by house mice develop a potent musky smell. Food leftovers that are not stored properly will certainly attract any mice and rats present at the property. Home invading rodents pose a threat towards humans. They carry various vectors of disease, contaminate food, and bring substantial damage to the property with their constant gnawing. Our pest sanitation service helps to reduce the risk of illnesses associated with infestations. ​The majority of pests carry bacteria and viruses which pose serious health risks to people and pets. Biocidal treatment kills up to 99% of ALL harmful pathogens such as Norovirus, Swine Flu, E.Coli, Salmonella, Legionella and many more​ ​that are brought by rodents, birds and insects. This provides clients with total biosecurity and peace of mind that their property is now pathogenic, bacterial and disease free! Your service will start with a comprehensive inspection. This way the mice and rats exterminator will be able to determine just how infested your property is and what would be the best counter measures. The first step is to limit the movement of the rodents as much as possible. This will be done by sealing possible entry points to your property with expanding foam, wire wool and other sealants. Your trusty rodent control specialist will be happy to share with you some pretty useful advise on how to avoid future problems with pesky rodents. Upon request and for a small additional charge the pest technician can completely rodent-proof your property. What Can You Do Against Mice And Rats? Never leave your food exposed – the rodents will surely find it. Store your rubbish at one place and make sure it's properly isolated. Keep your garden neat, never allow overgrown areas, and never let rubbish to pile up. Block obvious holes that the rodents might use as entry points. IMPORTANT: When the time for your mice and rat removal comes, please remove any poisons and traps you have used at your property. Mice and rats invade human dwellings in search of shelter, warmth, and food. They are omnivorous but, contrary to popular believe, cheese is not among their favourite foods. Urban rodents are known to reproduce incredibly fast. For instance, a single female mouse can have ten babies per year who will be ready to mate in just two months after they are born. On the other hand, rats are known to grow in size generation after generation if they have shelter and plenty of food. They are especially good at scavenging food leftovers. Both mice and rats are incredibly agile, adept climbers, and prone to bite in self-defense. I was astonished by the amount of time it took for me to book and receive a rat control service: almost no waiting around was involved! Everything was arranged for no time, which is unusual especially when it comes to same day treatments. So yes, if your looking for a serious pest company, contact these professionals. I noticed a nasty niff in my attic and hired a professional cleaner first, who told me I’d be better off with an exterminator instead. Did just that and quickly found out I was the landlord of over a dozen mice. Great service and it was no problem getting rid of the mice, he was quite good at what he was doing.